My site was seriously hacked over a year ago, and I did not have time to rebuild it until now. I am currently remodeling and restoring the site. A new look. Upgraded templates. It will be some time before all the articles are re-posted and all the links work properly. you think might be of interest, let me know. 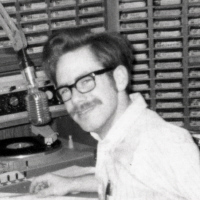 Actually, that wasn't when I started in radio -- it is the earliest picture I've been able to locate. (I've found an older one.....it's here.) I graduated from college in 1969 from UPS in Tacoma, and that's a shot of me at my part-time gig at what was then KASY in Auburn, Washington. I started years earlier while still in high school in Salmon, Idaho in 1962. Since you found my site, WELCOME. I hope you'll visit again soon since I am still building many of the pages. I have a keen interest in history of the radio industry back in the 60's as well as what is going on today. I retired from full time broadcast engineering December 31, 2013. At that time I was working as an engineer for Journal Broadcast Group and the 6 stations they have in Boise, Idaho. You can reach me through the contact link at the top of the site if you have any comments. Ok -- Here's a more recent picture. 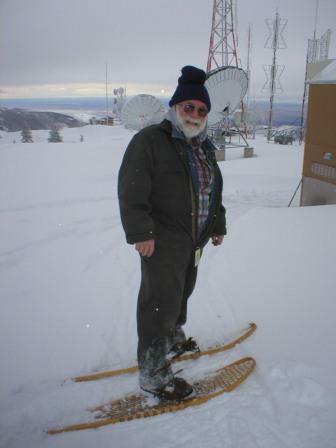 This was taken about 2007 at our mountaintop transmitter site. For anyone who wants to know what I REALLY look like click here. Historical Footnote: On this page and other pages I make reference to KASY in Auburn, Washington and KBMY in Billings, Montana. These stations no longer exist under these call letters today. KASY, previously at 1220 in Auburn, is now KBSG out of Seattle and at 1210. KBMY is now KMZK, still at 1240, but at a new location and with a Religious format. I'd like to thank Micah Harding for helping me make this site possible. Content on this site, unless otherwise noted, is the property of the site owner, and may not be copied or used in any other form without permission (and I'm most likely to give permission -- just ask!) Linking to this site is encouraged. In the past year and a half, I retired from full time work, and just recently Bev and I have finally made our move to Salmon. More about that in a future article. I hope to have most of my site active again by early summer.